In the vast array of bands that make up the genre known as Melodic Power Metal, we have, on the one hand, a host of giants such as Stratovarius, Avantasia, Royal Hunt, Primal Fear, Blind Guardian, Sabaton etc. to excite us. There's also the huge plethora of up and coming acts to enjoy. On the other hand, we have a few bands that have been plugging away for a few years, quietly putting out quality albums year after year, ones that, for some reason, only seem to be known to those who follow the Power Metal genre with gusto; Anubis Gate, Borealis and Falconer all spring to mind. 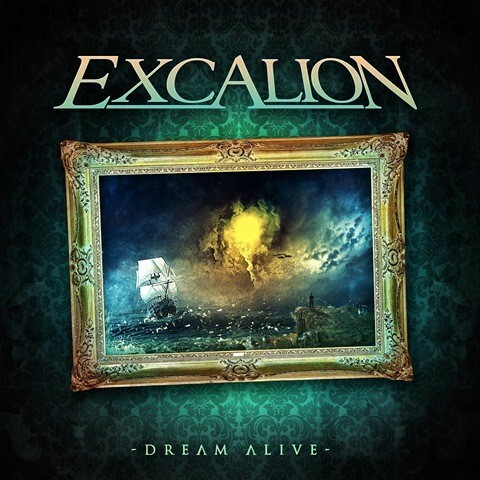 This is a shame because those bands, along with Excalion, deserve better because their albums are, and have been over the years, some of the best recorded in the Power Metal genre – 'Dream Alive' is no exception. With a decidedly Stratovarius-like vibe, Excalion have put together eleven potent Metal songs that are filled with hard hitting riffs, dynamic keyboards, a rock (sorry) solid rhythm section and killer vocals that will excite anyone who has a penchant for this style of music. Starting things off with the keyboard-laced 'Divergent Falling', the band set out their stall and show their wares. They then throw other gems onto the table such as 'Marching Masquerade', the galloping 'Amelia', 'Release The Time' with its hook-filled chorus, the brooding 'Deadwater Bay' (which shows Excalion's softer side) and the epic closer 'Portrait On The Wall'. When you hear these, you'll be left wondering, like me, why this band aren't better known on the scene. As Power Metal albums go, this is a bit of a goodie. 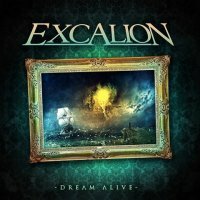 It has all the requisite elements needed for such an album, but with the abundant use of keyboards, Excalion have a different sound from a lot of the other acts that play in this overcrowded genre. This – I hope – will help them to stand out from the others. Fans of Power Metal should definitely look out for this album, like I said, it's a good one.